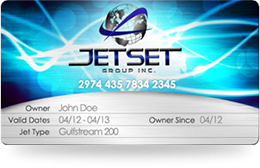 Throughout the years the JetSet Group has established a large network of aircraft owners, management companies and operators. We have access to aircraft that are on the market as well as some not yet known to the market, so we can help you locate the aircraft of your choice for purchase or lease. Our team of professionals can also market your aircraft for sale, lease, management and charter. Please feel free to email us with your contact information, and we'll have one of our dedicated sales professionals contact you.